VICTIMS of one of Scotland’s biggest medical negligence scandals have resigned from the official inquiry into it – claiming it is a “whitewash”. Campaigners Elaine Holmes and Olive McIlroy were patient representatives on an investigation set up three years ago into the dangers of controversial mesh implant surgery. But last night they resigned from the inquiry just a month before its final report is published – claiming key evidence of the dangers of the implants has been ignored. Elaine and Olive were asked to participate in the inquiry after ex-Health Secretary Alex Neil agreed to a full investigation into how implants used to treat bladder problems and pelvic organ prolapse left victims with appalling injuries. And Elaine and Olive welcomed an interim report, published 15 months ago, which said NHS Scotland should stop routinely using the implants which have crippled hundreds of thousands of women worldwide. But they are furious about the final report, which they have seen a draft copy of, and which they say “favours” a resumption in a use of the procedure. Elaine and Olive claim the report excludes evidence, in some cases from the Scottish Government’s own experts, which shows mesh implants for bladder problems can cause “life-changing injuries”. It also, they say, ignores evidence from the US that up to 40% of women are injured by the “hooks” used to anchor mesh implants. The campaigners also claim the report ignored European Union guidelines which reclassified all surgical mesh as “high risk”. The report panel, which includes surgeons, NHS personnel and government officials, has rejected calls by some of its own medical members for the mandatory reporting of all complications associated with implants, in favour of a system used by only one-in-four specialists. 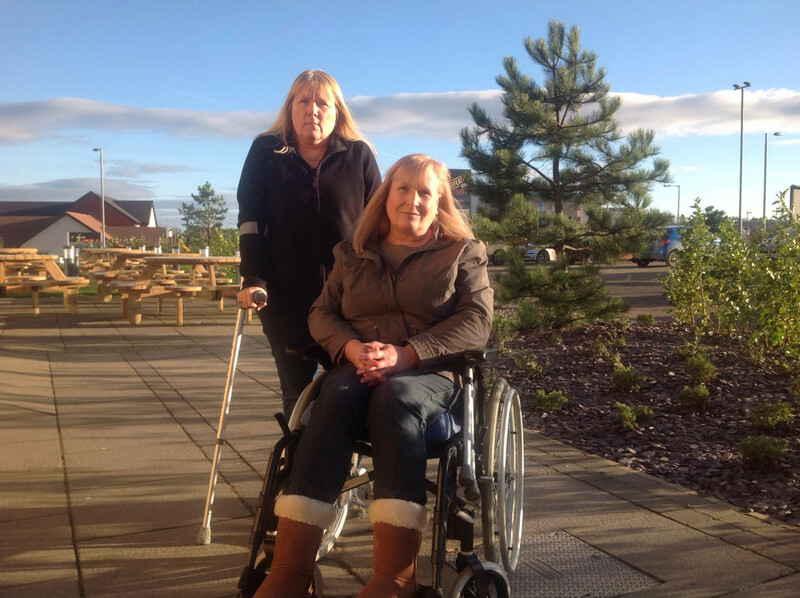 Elaine, 52, from Newton Mearns, East Renfrewshire, who spends long periods in a wheelchair due to extensive nerve damage, said: “We’ve been betrayed. Now the pair fear a suspension in mesh surgery ordered by Alex Neil in 2014 will be lifted and procedures they want banned will be reintroduced. They are also angry the report makes no mention of three criminal investigations by the US Government against mesh manufacturers, some of which have already paid out £1.5 billion in compensation to victims. The campaigners claim they are not the only people involved in the inquiry who are concerned by the final findings. The women are also concerned about the leadership of the inquiry following the resignation for “personal reasons” of the original chairperson, retired public health expert Lesley Wilkie. She was replaced by Tracey Gillies, medical director of NHS Lothian, one of two Health Boards which ignored Mr Neil’s suspension order and implanted mesh in almost 400 more women. MSP Neil Findlay, chair of the Scottish Parliamentary Health Committee, said: “Nicola Sturgeon stood up in Parliament on Thursday and defended almost 170 reviews being held, insisting she would never stop listening to the people. “But mesh victims have been ignored, abused and marginalised. “We had the chance to lead the world and protect women from this global scandal. Last night Health Secretary Shona Robison said: “I have been made aware of the resignations of two of the inquiry’s members. I intend to meet with them so I can hear their concerns directly.